A new book from Catholic author W.L. Patenaude explores how Catholic teaching can be applied in a world recovering from decades of environmental and social crises—and how those teachings can be understood in our efforts to protect creation today. The book, the first in a series, takes place in the future, as Earth recovers from decades of environmental and social crises. 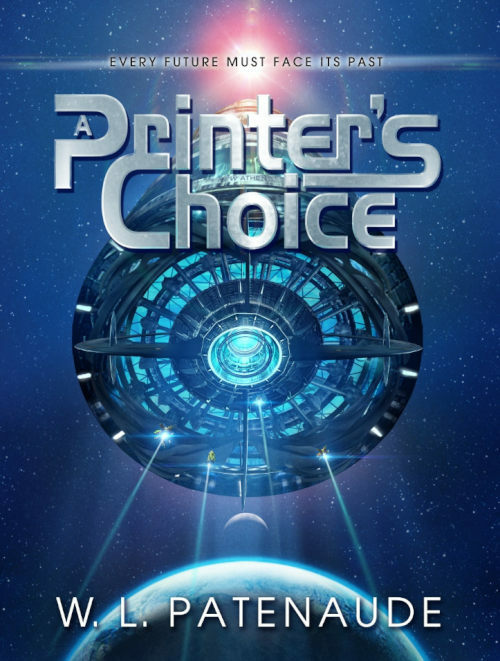 Father John Francis McClellan, a retired US Marine Corps investigator, must investigate a murder on an extraorbital planet, and determine whether artificially intelligent machines played a role in it. The following is an interview with the author. I wanted to help bring the messages of Laudato Si’—and indeed the basic teachings of Christianity—to new audiences. The social and eco crises we face today are immense. And so we need to dialogue with as wide an audience as we can. We need to win over as many hearts as possible. And so, for people who aren’t reading non-fiction texts on ecology and faith, why not try something different? Why not use popular fiction to get out our message? What experience do you hope readers will walk away with? That they stop to think about the great gift of free will—of humanity’s ability to choose well, but also our propensity to choose poorly. In other words, the changes in lifestyles and motivations that Pope Francis and his predecessors have called for will come about only if we choose them. That means that what Christianity has always taught about free will, and about grace, becomes a big part of solving our eco issues today. If a reader ends A Printer’s Choice with a deeper awareness of free will—of their will, and perhaps about sin and grace—then we’ve helped them encounter key elements of Laudato Si’. How do you see writing as part of your ministry? Any gift that God gives us is best used to bring others to God. Writing seems to be a gift that I’ve been granted, and so whether through non-fiction or fiction, I hope to share the awesomeness of the Church’s teachings—of the Gospels and the history of the Church. My continuing message is that Catholics engaged in eco-advocacy are not really advocating for the same things as secular eco-advocates. We’re offering the great gift of grace—God’s very life that heals and elevates our fallen nature. And today, as we are faced with such horrific ecological and social crises, this good news needs to be shared all the more—even in out-of-the-box genres such as a science fiction murder mystery.